This entry was posted on 15th March, 2012 by Haxnicks. Here in Dorset we have just had a glorious weekend and doing any kind of gardening meant having a purpose to be outside fiddling about. Lawn mowing season has just about arrived, so neatening up the garden is now possible. This always makes the garden look as though it has been hoovered! 1. Sow more seeds, lettuces and rocket can now be sown every other week, only about 15 seeds at a time, the packets contain hundreds, don’t use them all up at once! This is called staggered sowing. Sow flower seeds, marigolds, nasturtiums, sunflowers – we are holding a family competition on who can grow the tallest and best – lupines, delphiniums, aquilegia’s – these cost a fortune in garden centres and don’t take long to grow at all, I also find them easy to grow. Sow peas and beans, this may seem a little early, but I am going to have two batches, you can wait a few more weeks for these. 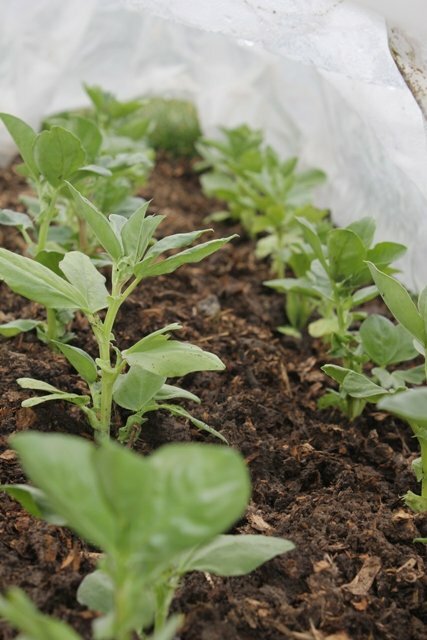 2.Transplant your broad beans out into the vegetable patch, but only if you have a small poly tunnel in which to cover them with, a frost could kill them. If you sowed sweet peas last Autumn they should be also ready to be planted out, try to keep these covered too with maybe some kind of cloche or solar bell. 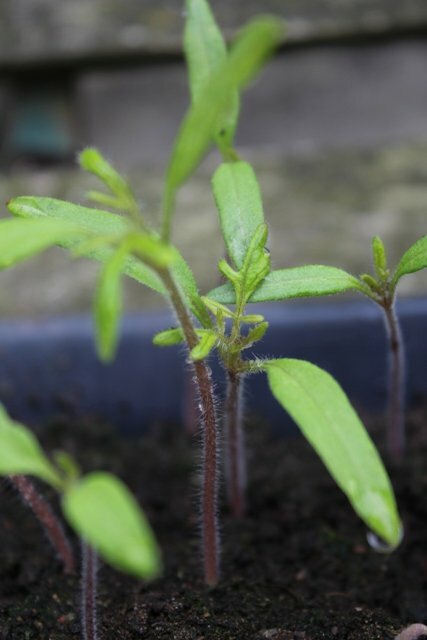 If your tomatoes are large enough, you may feel that they are ready to be transplanted from their seed trays into larger pots and put into a greenhouse/on windowsills. Mine are getting large and leggy, so I will. Use ordinary compost with a 1/8th mix of sand to help with retaining water. 3. Dig or rotavate beds to get ready for planting out your potatoes. As ever, please use the comments section below to ask Madeleine any questions.